Home port is a fixed concrete dock at the bottom of the back garden of our home in Jacksonville, FL. 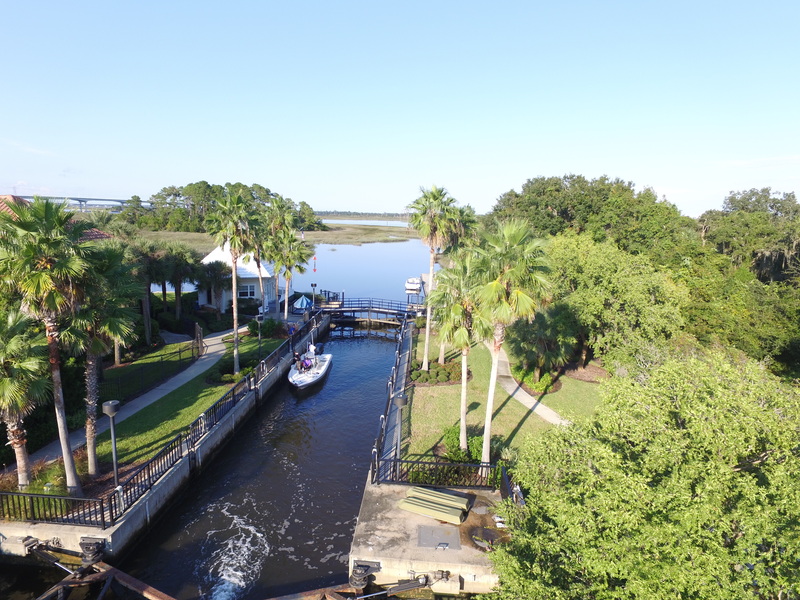 We live on a man made fresh water lagoon which has lock access directly to the ICW. 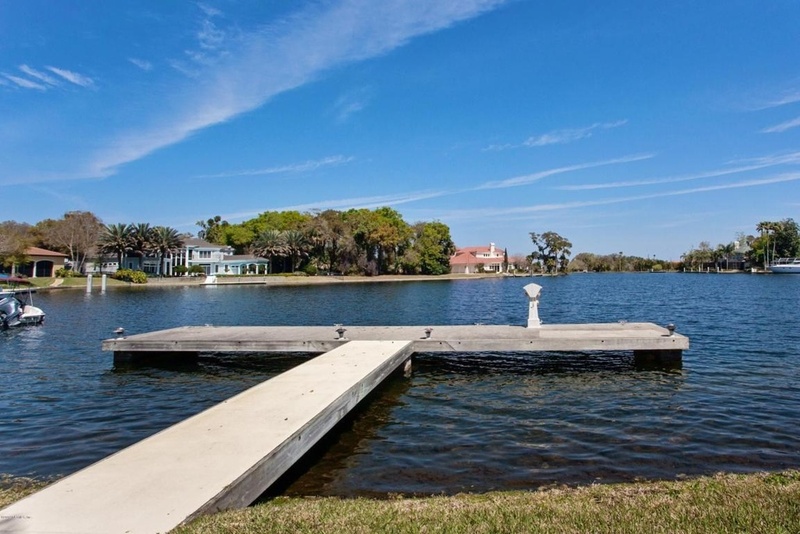 There are approximately 220 homes on the water, most with their own docks. Water depth at the dock does vary with the level of the lagoon but is usually around eight feet. Our dock is about 400 yards from, and faces, the lock. The lock is manned during daylight hours every day of the year apart from Thanksgiving Day and Christmas day. Even then, there is a floating dock right outside the lock where a boat can tie up when the lock is closed. See YouTube video of the lock and lagoon below.